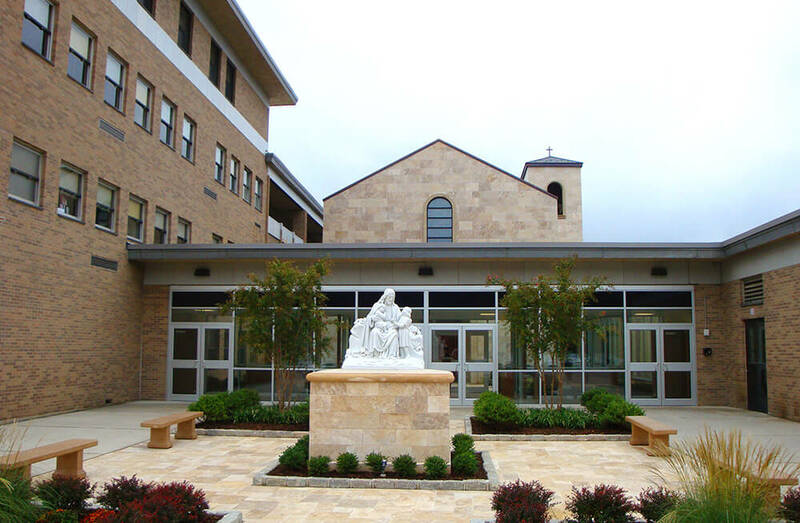 St. Anthony’s high school commissioned bld architecture to design a new student center and chapel for its existing 1961 building in Huntington. 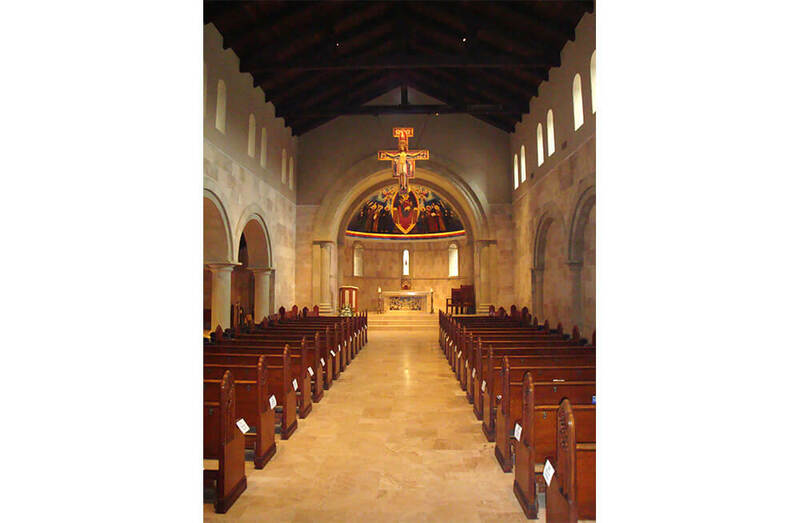 As part of a multiphase master plan, the design services for the student center included construction of a new chapel, athletic field house and student center. 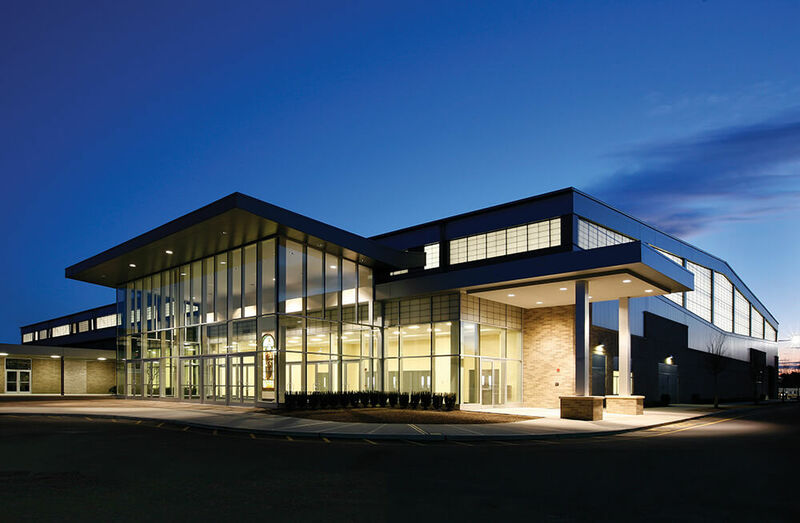 The new field house building is a 170,000 GSF state-of-the-art athletic and academic building. 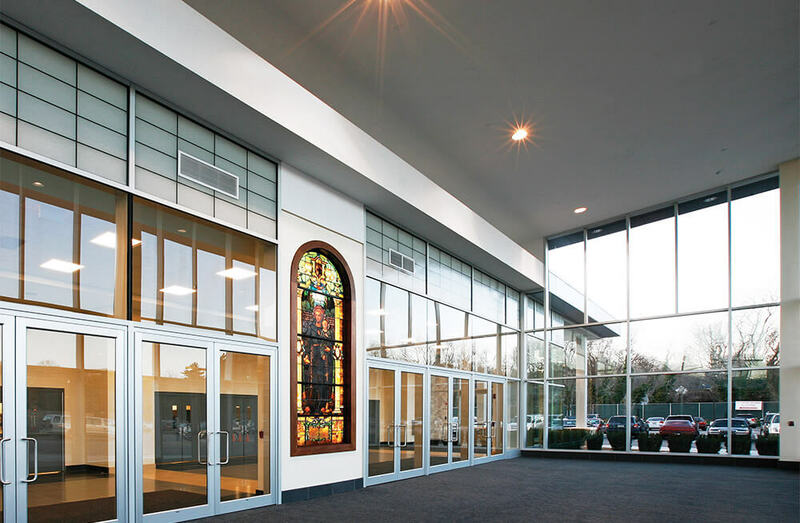 The ground floor houses a 200’ x 300’ ClearSpan indoor football/lacrosse field and 200-meter running track, with bleacher seating for 1,000 visitors. 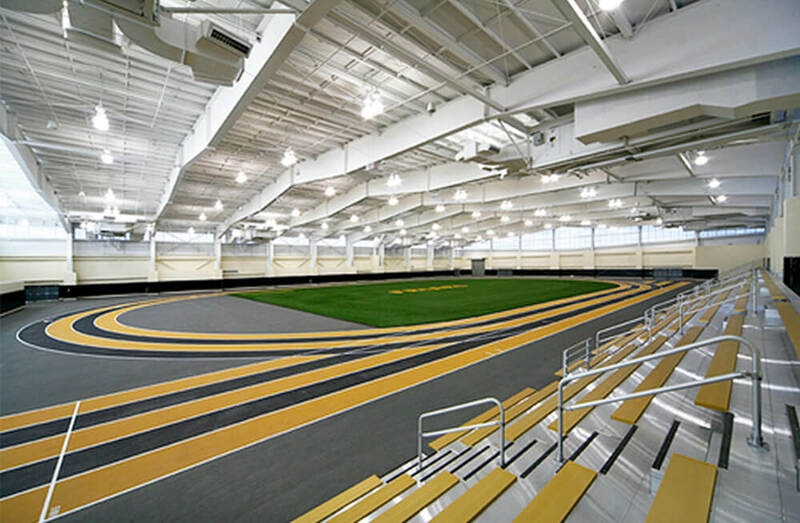 Indoor track and field events are taken into consideration with progressive timing and display for NCAA events. 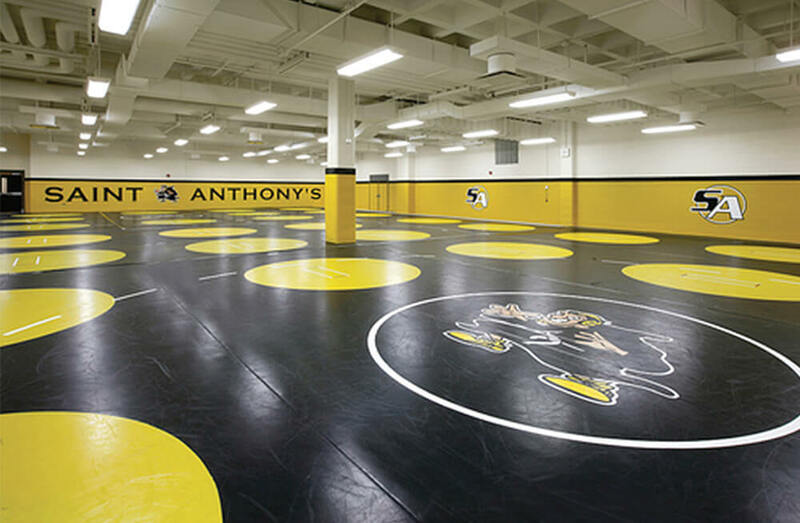 The lower level houses wrestling rooms, men’s and women’s locker rooms, a fitness center, training rooms and practice rooms for music and art classes. 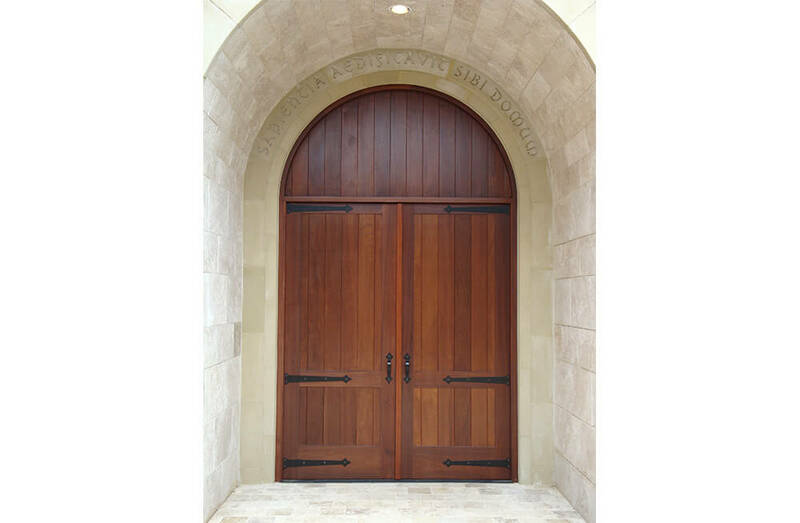 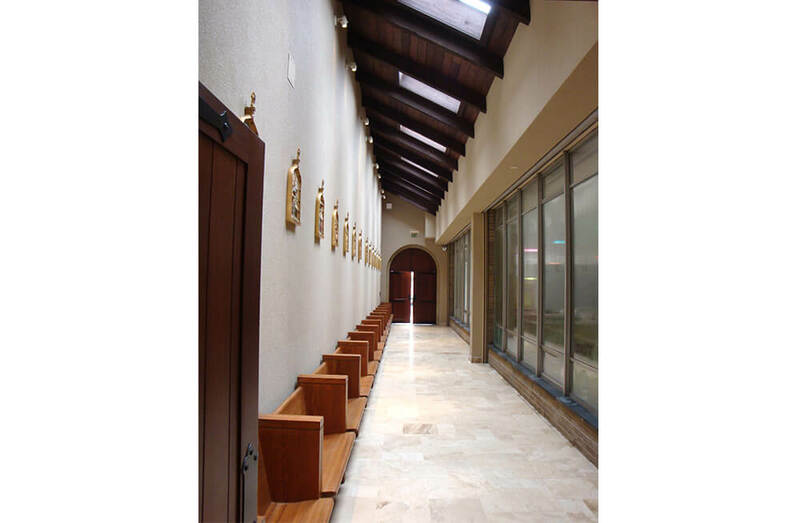 Religion is an important part of the school’s academic and athletic program, so bld architecture designed a 12th-century Romanesque chapel that now resides in the central courtyard of the school.